Kreeger Bros / Woolens & Dress Goods: the brothers were Arthur Kreeger (1884-?) and Irving E. Kreeger (1888-?). They were born in Kedainiai, Lithuania and immigrated to the U. S. in 1907/08. Irving became a naturalized citizen in 1913 and Arthur in 1918. They appear in the 1910 U. S. Census living with another brother, Samuel Kreeger, in the home of their brother-in-law, Adriem Meyer, at 1465 5th Ave. (near 118th St.). Arthur and Irving were already in the wholesale woolens business at the time. Their business started out on Broadway around 1909 and moved to 109 E. 29th St. in 1914. They were located here until 1918, then went out of business around 1930. This ad for a salesman ran in the New York Times in 1923 when the firm name had been changed to Kreeger Silk Co. In 1942 both brothers registered for the World War II draft. At that time Arthur was working at Caravel Films (a film producer/distributor) and Irving at the New York Manufacturing Co. N. Y. Mfg. Co. (originally a family enterprise including David, Joseph and Samuel Silberstein) manufactured headwear from 1911 until the end of World War II. In 1946 they switched to sportswear, and as sportswear manufacturers they stayed in business until 1964. Wm. 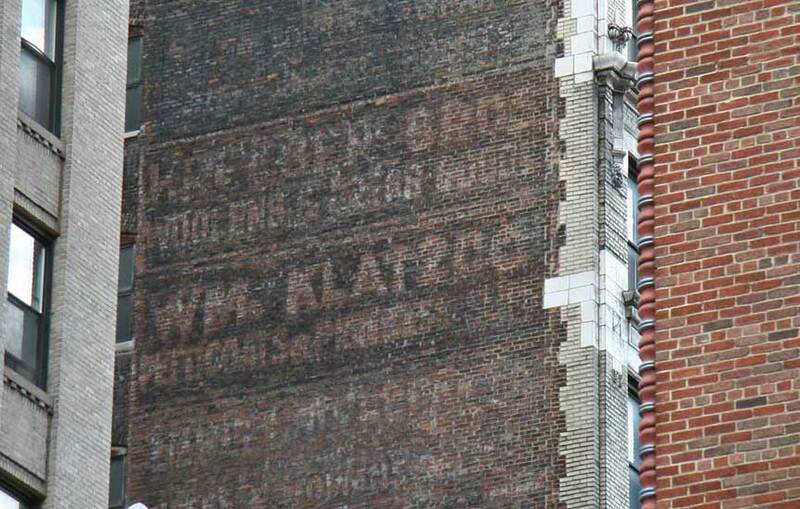 Klatzco / Petticoats - Skirts - Silk : "William Klatzco, sixty-two years old, a silk manufacturer, of 656 East 176th Street, who had been despondent, committed suicide yesterday by inhaling illuminating gas in his office at 105 East Twenty-ninth Street." This notice appeared in the New York Times 5 Sept. 1914, p. 9. Klatzco's business had been located at this address only since the prior year, 1913. Earlier William Klatzco (born Russia ca. 1852/55, immigrated 1875) had one partnership with Oscar Miskend on Lispenard St. (1900-1904) and another with Joseph Lande on Waverly Place and at 10 W. 13th St. (1908-1913). In 1913 these two partners entered into their own partnership, Lande & Miskend, Underwear, at 115 W. 29th St. Oscar Miskend (1871-1925) appears in the U. S. Census of 1900, age 29, living with his wife's family in Brooklyn. At the time the young couple, married one year, had no children. By 1920 a son, Herbert Miskend (1900-1962), age 19, was a salesman at Lande & Miskend. After the death of his father Herbert became an officer in the company. Joseph Lande (1883-1933) appears in the U. S. Census of 1910, age 26, living with his father, an insurance agent, on St. Nicholas Ave. Lande & Miskend manufactured lingerie in New York for forty years (1913 to mid-1950s).